Revealed: Are Financial Planners worth the cost? Are you concerned about the constant rise in the living cost and its risks? Are you concerned about the investment market volatility and the potential risk it brings to your portfolio? Are you concerned about saving enough money for a comfortable retired life? • Are financial planners worth the cost you pay? • Will financial planners solve all your financial concerns? 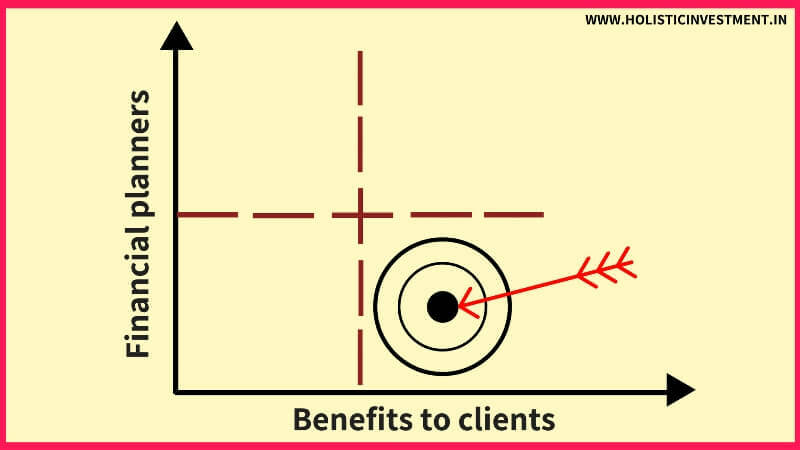 • What is the value addition you get by going to a fee-based financial planner? 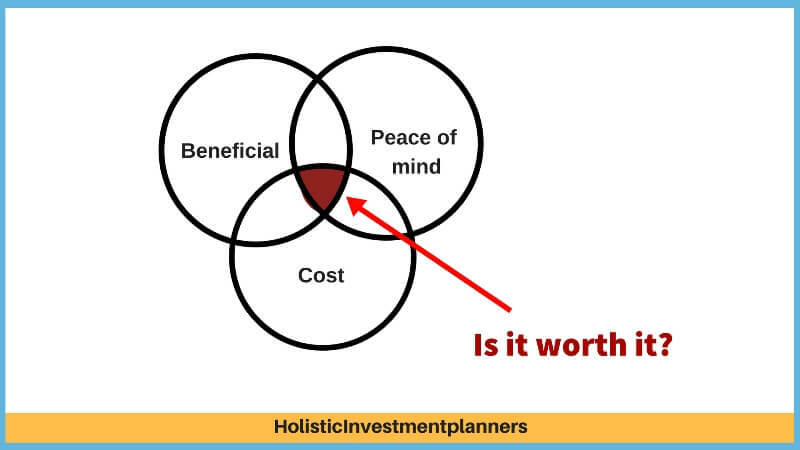 Before asking “Are financial planners worth the cost?” it is best to understand what exactly they do. As the name suggests, these individuals belong to firms which specialize in taking holistic approaches towards financial matters of many kinds. As standards of living continue to rise, so does the need for smart investment, liquidating assets, and playing wise in competitive investments. The solution to figuring a guided way out is Financial Planning. The above points list a sample and not exhaustive. Who benefits from these financial planners? Are financial planners worthy for everyone or a selected few? Most people in India argue that this financial planning service, though steeply gaining popularity and rising in quantity, is just suited for the few rich people in a society who do not have to go through the everyday troubles of a common man. Is that true? You can understand who can be benefited from Financial Planners from below points. • How much to invest in risky asset classes and risk-free/safe asset classes? • How to safeguard the portfolio from market volatility? • How to invest when the market is low and encash when the market is high? The risks associated with the investments can be calculated and minimized. • Rebalancing the portfolio based on the pre-defined asset allocation will help you to safeguard your portfolio from market volatility. • Also, the asset allocation rebalancing will to some extent help in investing when the market is low and encash when the market is high. A financial planner can clearly enlighten about the difference between perceived risk and the real risk. At times, an investor may get so engrossed and have a pre-occupied notion that stock trading is lesser riskier than investing in equity mutual funds for long-term. However, his perception is wrong. When that investor reads about someone did a suicide because of the huge loss incurred by stock trading, he will realize the real risk. Also in stock trading and F&O trading, there is a lot of fun and thrill involved in it. That will make the investor blinded to the actual risk. We invest not for fun and thrill, but for returns. A professional financial planner will coach you and make you understand and realize the actual risk. The above risk assessment and management strategies carried out by a professional financial planner will help you in taking a right risk at the right time which in turn will help you get remarkable results. Do you consider a financial planner helping you deliver remarkable results is worthy of the cost you pay or not? Some people are curious to make more money the minute they strike a moment in their life where they can make enough, and this approach sometimes clouds the rationality of the decisions these people take. With a financial planner watching out for you, you are likely not to compromise on your rationality for even the most tempting offers out there. It gives immense pride and prestige to live in a posh area and a spacious house. But it leads to overstretching your budget. It will have a negative impact on your all other financial goals. Instead of giving weightage to immediate pride and prestige, a financial planner will advise you to give weightage to long-lasting peace of mind by focusing on a rational and holistic financial plan. Nowadays, many would like to work only for 10 to 15years and have an early retirement. By starting at the age of 30 or 35 you can’t retire by 40 or 45. With the help of a financial planner, if you start early, and plan rationally, then you can comfortably retire before 58. Psychologically, you and I are tuned to seek instant gratification and not delayed gratification. • We spend on partying, cars and costumes to get acceptance from our social circle. • Impulsive buying for things we don’t actually need. • Investing directly to avoid the charges given to the financial advisor. • Investing in tax saving schemes without understanding its nitty-gritty. A financial plan will help you start thinking based on your needs. • I have invested in wrong investment. It is having a long-term impact on my goals. • I was doing investments for tax saving but not from wealth creation perspective. • I could have avoided FDs and invested in equities. • I should have avoided these dumb insurance policies and should have started my mutual fund SIP instead. After, you create a comprehensive financial plan, as you will be taking all the logical decisions with a thorough analysis of facts; there is no place for regret. A financial plan is a blueprint created very logically to take care of your financial goals. This financial blueprint is more logical and less psychological. So a financial plan will insist on taking more rational decisions. Limiting the emotional decisions and insisting the rational decisions will pave a strong way for your long-term financial success. Do you consider a financial planner paving a strong way for your financial success is worthy of the cost you pay or not? Practising the restrictive measures tabled by these individuals results in you having saved up more. The more you save, the better your investment prospects will be in the future. Are you aware of how much you spend a month on month? You may have a fair idea about how much you are spending. But trust me. Your fair idea of your expenses is not actually fair. When we really dissect your past few months credit card bills and expense statements as a part of financial planning, you will be surprised to know the facts about excessive spending. You will realize that your fair idea is just an illusion. As financial planners advocate for spending after you save, you will limit your overspending and start saving more. The financial plan will guide you to automate your monthly investments which will increase your commitment towards savings. 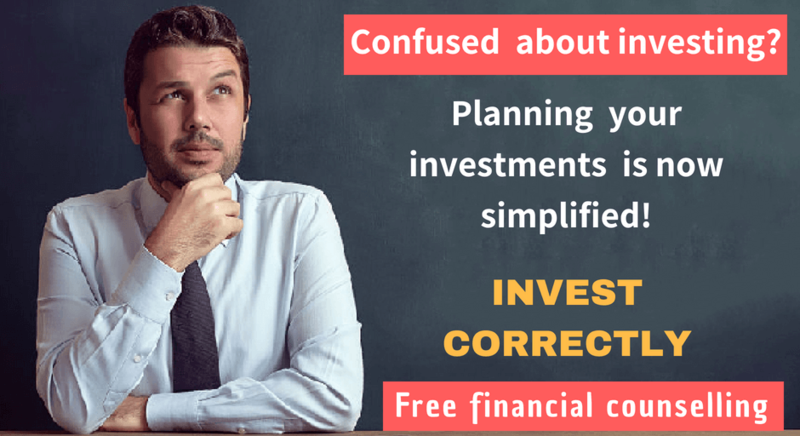 As financial planners charge you fees and are not dependant on the commission from investment schemes, they don’t recommend schemes which have hidden charges. This will help you save on the cost of investments. Also, financial planners recommend schemes based on the time horizon. As the schemes are selected based on the required time period, generally there will not be any exit charges or surrender charges. A financial planner can put things into proper perspective as he knows the big picture. Example: Do you need to spend more on kid’s education or lavish wedding? The wedding is a lavish expense in India. So a careful forethought needs to be applied. A financial planner will be able to get the right perspective here. We are living in an era of extreme social pressure to spend more on expensive cars and fancy gadgets. These assets depreciate in value over a period of time. That too if we buy these extravagant items through a loan, we end up losing. 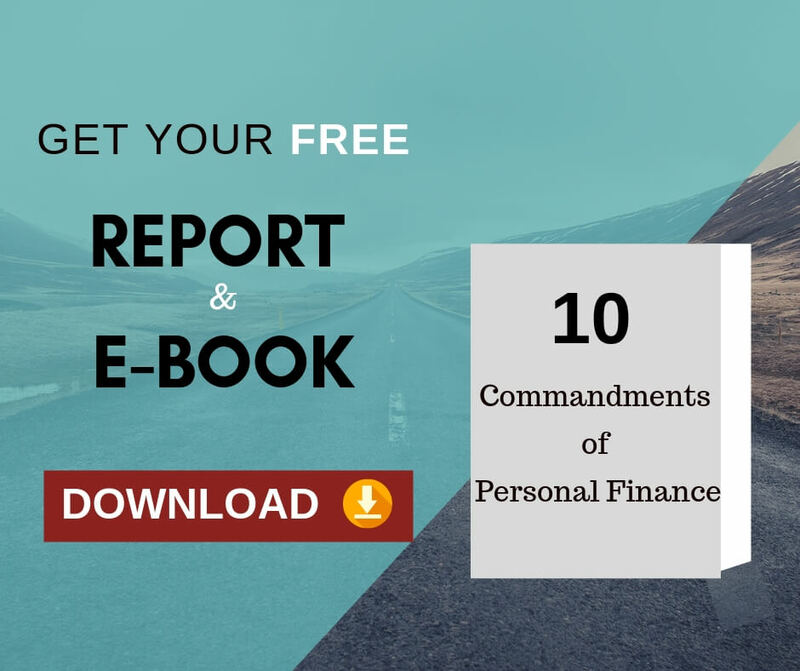 A financial planner will be able to counsel you on these and tell you the impact of these purchase and assist you to avoid falling prey to the social pressure. Money saved is money earned. The money saved in all the above situations makes financial planners really worthy of their cost. Let us say, on a graph, where you are financially is point A. Define your point B, that is where you need to go financially. Defining these 2 points on your financial graph will give you more clarity. When these 2 points are clearly defined, you will get a clear direction to move from point A and reach point B.
i) How much money do you need to retire? When I sit with my clients and do a retirement plan, most of the times, they are astonished about the retirement corpus number. “Do I need this much money to retire?”, “Oh my god! I never knew I needed this much for my retirement! !” are the reactions when they actually see the retirement corpus number. A financial plan will add more clarity and replace your vague idea about retirement corpus with the exact amount needed for retirement. The reply is “I am not sure, but I need large amounts of money”. When you create your financial plan, you will move out of vagueness and start thinking with a lot more specificity about your goals. • Do you need to plan for child education or/and lavish wedding? • Do you need to plan for retirement living or/and retirement vacation? • Do you need to plan for early retirement or/and comfortable retirement? Without this clarity, you will be moving somewhere financially but not to the desired financial destination. Too many schemes will not actually diversify the risk but dilute the returns and focus. If you have too many schemes, you will not be able to manage your investments effectively. When you get your financial plan done, your portfolio will be revamped. Portfolio revamp will consolidate your portfolio into a few best-performing schemes. The above 4 points make very clear that financial planners can be beneficial to everyone and not limited to a few selected groups of people. Even for general solutions related to debt, investment, and saving money, a financial planner will certainly play a huge role in ensuring that your money remains with you and the amounts leaving your accounts are all for better returns. This is because these planners are trained to assess individual cases. If you fall under that luxurious bracket, you are likely to benefit, because today you cannot simply sideline the element of risk and choose to keep all your money untouched in an account, knowing that you can make a ton more from various investment channels. Financial planners can guide you with respect to choosing the right channel. As a middle-income earner, you may have typical Indian dreams of buying own house, children’s education and retirement. Without a solid financial plan, all these dreams may become a mere wish. As a low-income earner, you may have some debt. This debt keeps you awake at night. You need a solid financial plan that will take care of your debt payoff. Also, a conscious spending plan with a budget is required to stay away from debt forever. A person who has spent all his life doing nothing related to finance and ended up making a lot of money in the process is likely to be confused as he/she nears the age of retirement. Inactive money in accounts is a hub of tax collection for the Indian state, which is not morally wrong because the protection and transaction of your money come with a price. For retiring people with sufficient money in their hands, financial advisors are worth the cost to invest wisely. Students need to study abroad to make more out of their lives. But to allow them to live that dream, you need to have the kind of finances to afford the education. A financial planner can step into fraction out that cost and alter your spending patterns for you to think broadly for the future. Can you still make it without the so-called Financial Planners? Not having the professional expertise needed to analyze your case and deciding what will be your next step to sustain/grow contain possible finance related threats. Good decision-making is crucial in the financial world because opportunities do not knock a second time at every door. A financial planner will tell you where to best spend your time and money with confidence, but you will not be able to do the same with as much surety. You can end up worsening your crisis and making it harder to solve than it was before because a series of bad decisions can make a case more strangled, and it will take more time to breathe life back into a strangled scenario. Case Study: How a Financial Planner can make a difference? Mr Avinash (40 years old) works in a private company as a mid-level employee. He wants to buy a second flat after buying his first flat through housing loan. Without a Financial Planner, he may fall prey emotionally to the attractive offer and neglect to be rational about the future and its shortages. 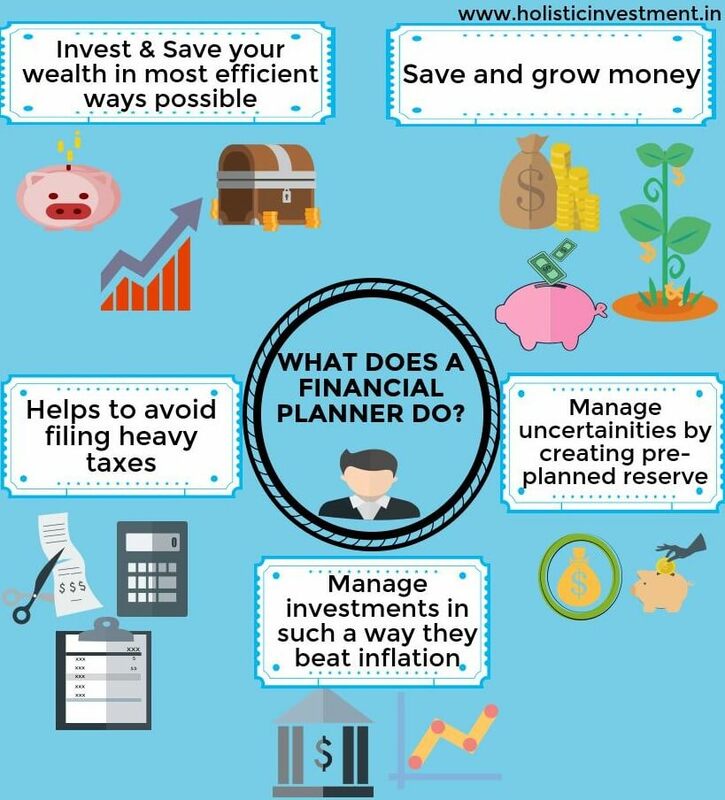 With a Financial Planner by his side, he can do financial planning to decide wisely whether to buy the flat or to skip the offer considering his short term as well as long-term commitments, financial resources, expenses, goals, etc. If Avinash does not use the services of a financial planner, generally he will decide to buy the property based on his loan repaying capacity. • Adversely impact other goals? • Increase his illiquid investments? He will be advised to think and come up with realistic ideas and resources to decide the buying. The Financial Planner here advises him neither to buy nor to skip. The Planner helps him understand the situation, resources available, goals at hand and future possibility, and leave the decision making all to Mr Avinash who now is clear on what to do. How to choose a worthy Financial Planner for you? The following are the criteria you should consider when you head out to get a financial planner for yourself. The Securities and Exchange Board of India (SEBI) is the department which is concerned with the validation and certification of firms which claim to offer financial planning services, so before you decide on the firm you want to contact for an advisor, be sure to check out the latest list released by SEBI for minimal chances of fraudulence. • the synchronization that individual can develop with you. This goes a long way in effective financial planning. Reveal your present financial situation to your planner with full transparency, because an advice given under limited information will tend to counteract only the problems you raised. Maintain transparency, and you will automatically see the rise of good advice. The more you are transparent, the more you will able to assess the potential of the value-addition from the financial planner. You need to check your planner how far their hands go in terms of executing the extensive paperwork you draw with him/her. A good measure of this ability is to check for their past records and see how well the individual has been able to handle clients and cases. Your experience with the financial planner will not only give you the understanding of avoiding difficulties in the future but also of how your progression or downfall solely relies on your effective decision-making. And once this accountability hits, you will never tend to go through the same series of mistakes and bad crisis management again. As financial planners are capable of making everyone save more money and earn more investment returns, they are really worthy of each and everyone’s money and time. Please share your thoughts about Financial Planners in the comment section. If you like the article, kindly shares it with your friends. Nice to know that you found it informative. Thanks. Glad to know that it is useful to you. I am happy that you found it informative. Thanks for sharing your feedback. Previous Previous post: 99% of investors are not with the right Investment Planners. What about you?